This one often turns up as a recommendation when Rajesh Roshan's work gets mentioned. And rightly so, as it's a very good record. Unlike many other mid-70s albums I've posted, there's nothing particularly out there or jazzy or funky within its grooves; 'Julie' is simply a collection of really nice, well crafted songs. That tends to work too. In terms of arrangements and general tone I find the record has more in common with contemporary European soundtracks than anything else, especially on the stunning instrumental 'Julie Falls in Love' which almost sounds Italian, and on 'Dil Kya Kare'. Maybe it's just the whistling on the latter that gives me associations to Morricone's frequent collaborator Alessandro Alessandroni. Regardless, it's a lovely track. So are both 'Yeh Raaten' (where have I heard that bit starting at around 1:22 before? Bacharach?) and 'Bhool Gaye Sub Kuchh'. I've heard it said (by some) that Lata Mangeshkar was past it by this point in time; I think these songs are perfect for her. The best known track is Preeti Sagar's sweet, poppy 'My Heart Is Beating', which just about manages to stay on the right side of saccharine. It's one of those rare Bollywood songs that are sung completely in English. Like 'Bobby' from a few years prior, the film is a teen love story exploring inter-faith/inter-caste relationships; the titular Julie is from an anglo-Indian family. 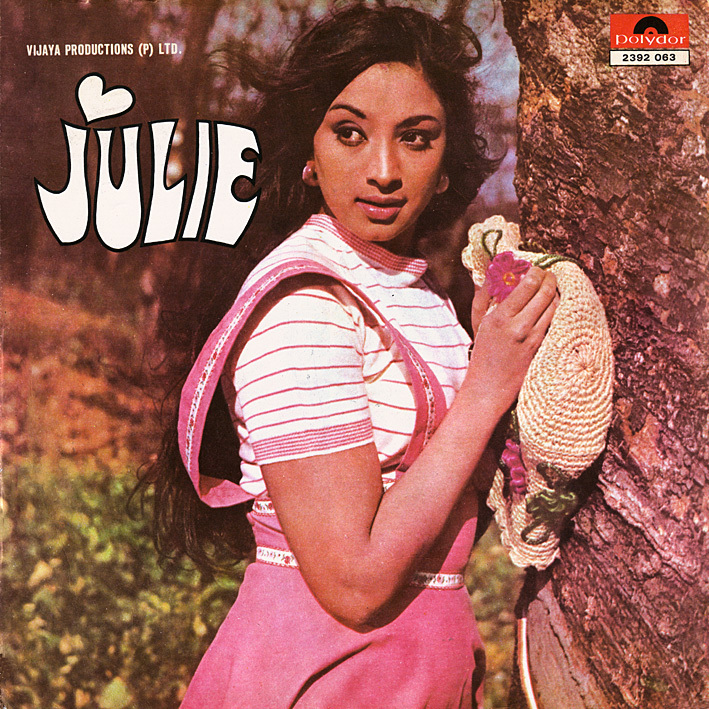 julie is Rajesh Roshan's finest work IMHO. every song has been a classic ever since it came out in 1975.